Amazon 101 with Kevin King continues where he and Manny discuss how to build the best Amazon product listings! Ensuring that your Amazon listing is perfectly optimized is crucial to the success of your product launch. New and experienced sellers alike can make the same mistakes when building their listings, which can have negative effects on your sales and your ability to compete in your market niche. 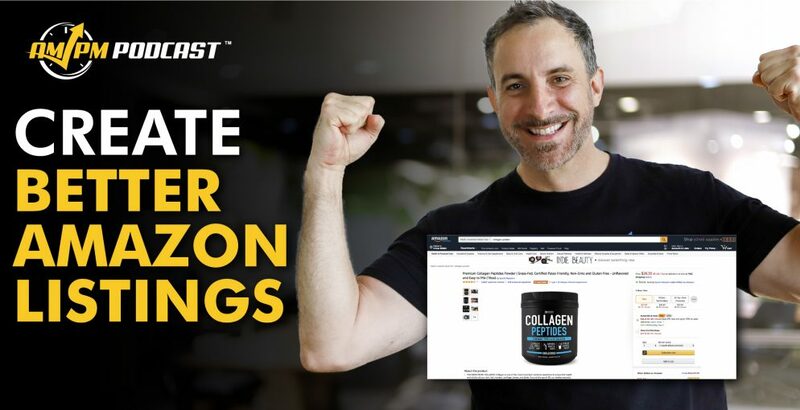 By using the best Amazon product listings as a guide, you can evaluate your own Amazon listing optimization efforts and make improvements where necessary. 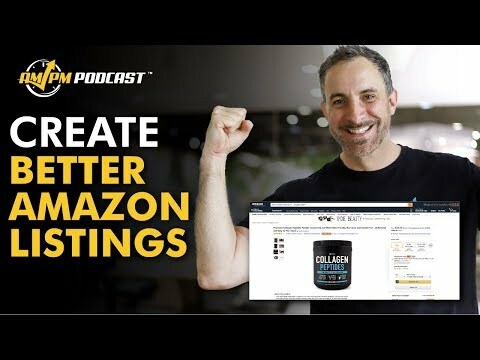 In AMPM Podcast episode 183, host Manny Coats asks Kevin King his thoughts on how to create the best Amazon product listings. Elements of the listing include product photography, keyword research and implementation, building the parts of the listing correctly for launch. 02:40 – What Are the Most Common Mistakes Sellers Make on Their Listings? 04:18 – What Resolution Quality is Best for Amazon Product Images? 05:00 – What is the Best Ratio of White Space to Have in Amazon Product Images? 09:41 – Is It Better to Rank #1 for One Keyword That Gets 100,000 Searches Per Month, or 10 Keywords That Get 10,000 Searches Per Month? 10:31 – What’s the Most Important Part of an Amazon Listing? 12:10 – What is the Best Strategy for Adding Keywords to Your Amazon Listing? 18:04 – Can You Use Emojis in Your Listing Bullet Points? 19:04 – What Tools Do You Use in Finding Amazon Keywords?